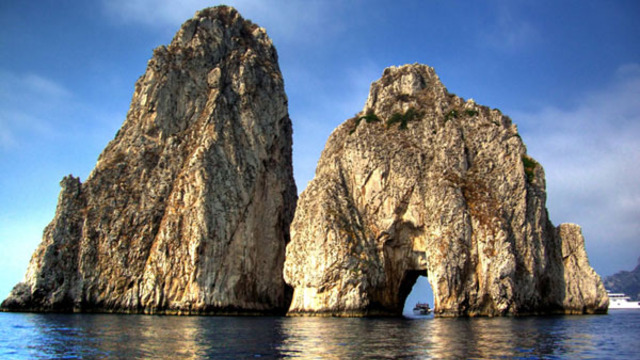 Capri is a small island famous in the entire world. 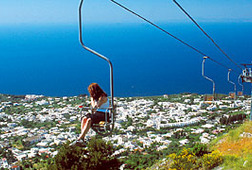 It is very beautiful and Chic Island, with amazing views, shops, hotels and restaurants lying along winding streets. 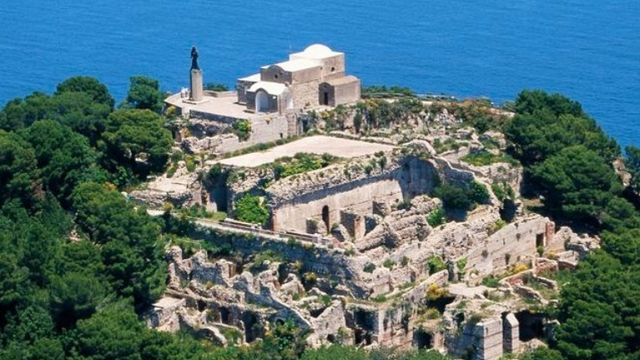 Two thousand years ago the island was a relaxation place and remains of a number of imperial Houses testify the leisure of the roman emperors. 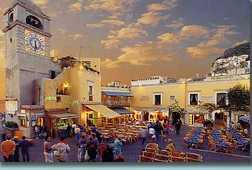 The main square Piazza Umberto, called "Piazzetta", has a pretty white church and several open-air cafes where you can sit and watch the world drift by. 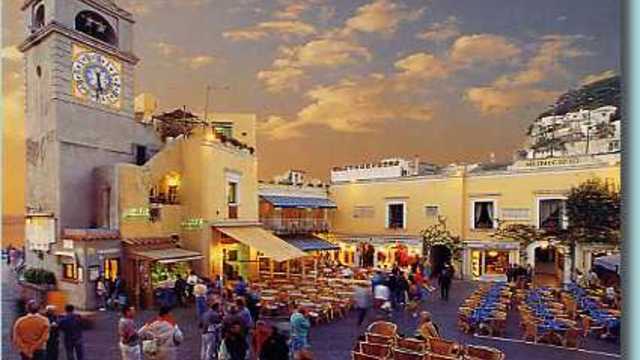 Leading off the square are medieval looking alleyways and arcades full of shops selling the handcrafts of the island such as clothing, jewelry made from coral and gold, shoes and ceramics. 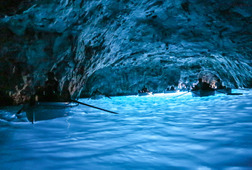 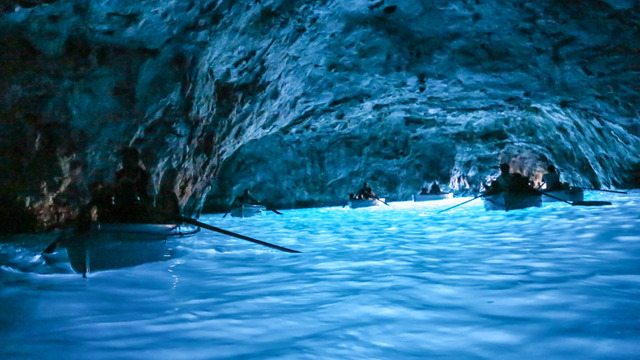 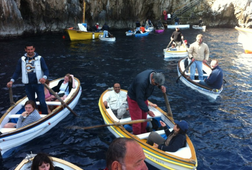 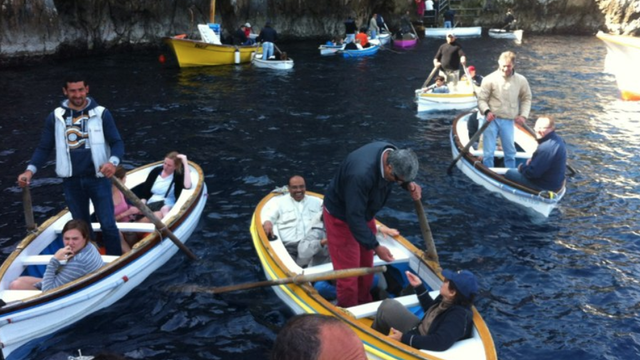 The Blue Grotto is at Anacapri too, whose enchanted cavern attracts tourist from all over the world. 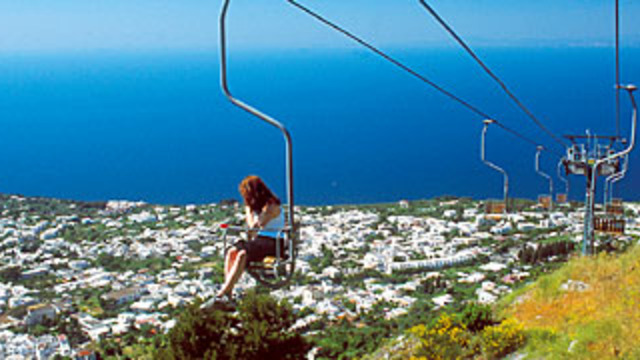 There is so much to see and do on this island of paradise you will be sorry to leave. 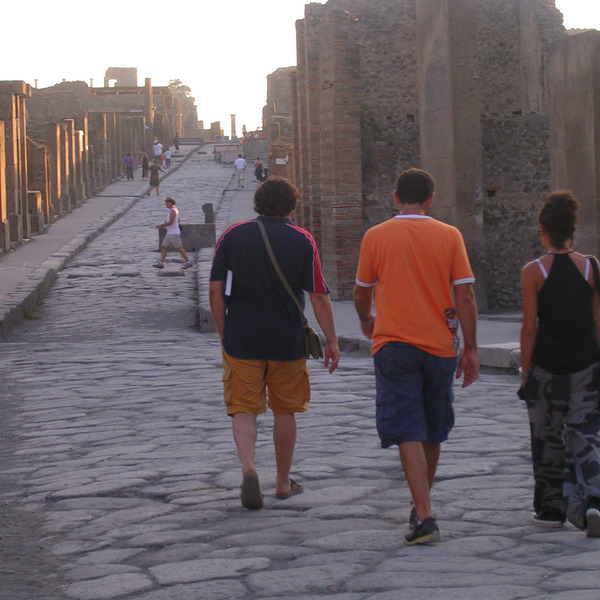 There is free time for you to go off and admire the elegant boutiques, stroll along the cobbled streets or simply relax on the beach. 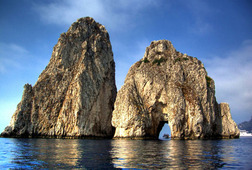 Receive special offers, VIP invites and exclusive updates for Italy.